"With the aid of his friends Chris Slorach and Hayden Menzies, who make up METZ's colossal rhythm section, Edkins and his guitar have never sounded so cunning, confrontational and, yet, so compellingly uncertain." [9/10] - Exclaim! METZ have added new dates to their previously announced and comprehensive 2018 international tour schedule. New Canadian headlining date added in Quebec City on July 11. Tour includes stops in Ottawa and Vancouver. Strange Peace is available now on CD / LP / DL / CS worldwide via Sub Pop and in Canada, from Royal Mountain Records. 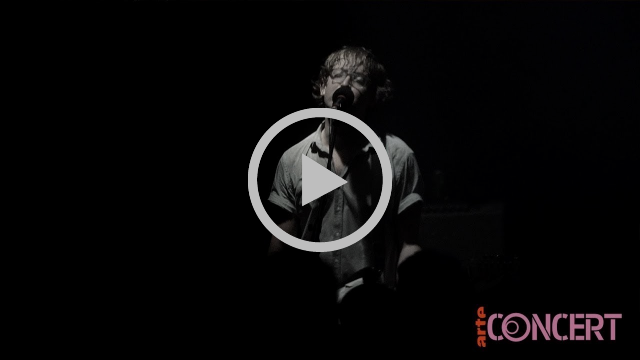 METZ is inarguably one of the best live bands around, and this incredible footage proves it. Watch them deliver blistering performances of the politically-charged Strange Peace standout “Mr. Plague”, and “Eraser”, the A-side from their split Three One G/Sub Pop single from 2016, filmed live during their European tour in Paris at Le Trabendo on November 21, 2017 by La Blogothèque for ARTE Concert. METZ’s 2017 tour dates in support of Strange Peace resume December 7 with upcoming stops in Vancouver, Winnipeg, Calgary, and Edmonton. Full tour dates can be found below. Recently, METZ delivered a mind-altering visual for “Drained Lake” from Strange Peace. Directed by Shayne Ehman (who also directed the band's video for “Cellophane”) the piece highlights nothing less than the transient nature of time and space, through cutlery and kitchen wares. Strange Peace is available now on CD / LP / DL / CS in Canada from Royal Mountain Records, and worldwide from Sub Pop. In METZ’ new video for “Drained Lake”, director Shayne Ehman (who also directed the band's video for “Cellophane”) highlights no less than the transient nature of time and space, through cutlery and kitchen wares. “Drained Lake” is one of the standouts from the new METZ album Strange Peace. And the song is a propulsive, jagged thing; heavy 21st-century post-post-punk, with an infectious sea-sick synth line added for good measure. METZ will begin the European leg of their 2017 international tour in support of Strange Peace on November 2. The band returns to Canada on December 8, with a show in Vancouver at Cobalt, with newly signed Sub Pop artists Moaning opening. The band will close out a busy year of touring with European and North American dates through November and December, joined along the way by Protomartyr (November 2nd-8th), Brian Case (November 9th), Drahla (November 12th-24th), Moaning (December 7th - 15th), and Cherubs (December 15th). All of their current tour dates are listed below.